After sound finish (when i press enter in macOS Partition), system is freeze. No loading bar, just apple logo. If i deleted bootchimedxe.efi. Then it will be fine. Can you check it? Possibly an issue with the callback in BootChimeDxe. Can you test again using all binaries compiled from this repo and not from Clover? I had the same problem, it seems you can only have one or the other working at once. Yes, it can go. But sound before GUI Theme of CLOVER is gone. I check the log is about "No AudioIo found" if i use all AudioDxe.efi, BootChimeDxe.efi and BootChimeCfg.efi from your repo. Use all your 2 binary (BootChimeCfg.efi, and AudioDxe.efi"). I just tested on mine and with Clover's build of AudioDxe it does indeed freeze after playback of the startup sound. Yes i experienced it before. 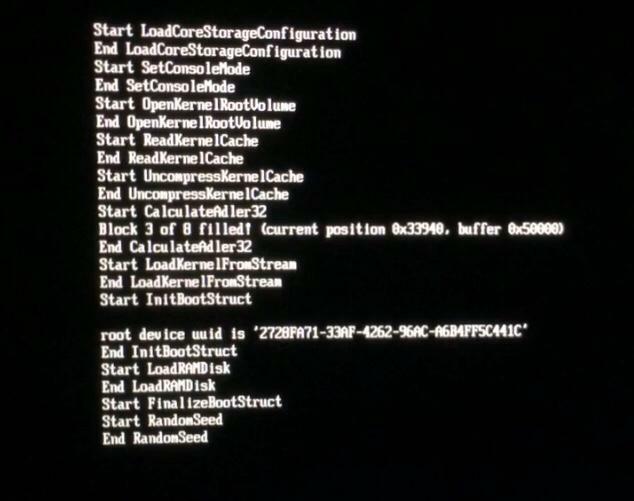 in desktop, i put your BootChimeDxe.efi in drivers64UEFI. i just put "Sound.wav and sound_night.wav" in my Theme Folder. I'm assuming "sound before CLOVER GUI" refers to the startup sound that Clover makes when it loads? How is that configured? I am not up to speed with the various changes as I only found out recently that Clover had incorporated my driver. And this my video for the success, use all your binary. But i don't set bootchimecfg.efi yet. It's work normally without set it first. Is this normal???? Yes BootChimeDxe will try to use a default device and max volume if the NVRAM variables do not exist. @Goldfish64 Thanks for your great driver! I have made a driver days ago to work with your AudioDxe which also experiencing boot freezes. Already share it on IM Ozmosis thread. For me, my StartPlaybackAsync callback will never get called. Something like unfinished progress (or broken timer?). Freeze on: "Block 3 of 8 filled! ..." on ExitBS. For your new interactive BootChimeCfg, i got immediately "EFI_DEVICE_ERROR" msg on program start right after showing the menu. I comment out "WaitForEvent" return check as below as temporary workaround. Also found duplicate guid here. But just for the information,, my sound is working now. Before and after GUI CLover is work perfectly. @cecekpawon Did you compile AudioDxe.efi yourself? The same exact issue affects BootChimeDxe when used with AudioDxe from Clover: the callback is never called. Yes @Goldfish64, compiled by my self. I dont use Clover + have not test any Clovers AudioPkg binaries, so I cant compare it for you, sorry. 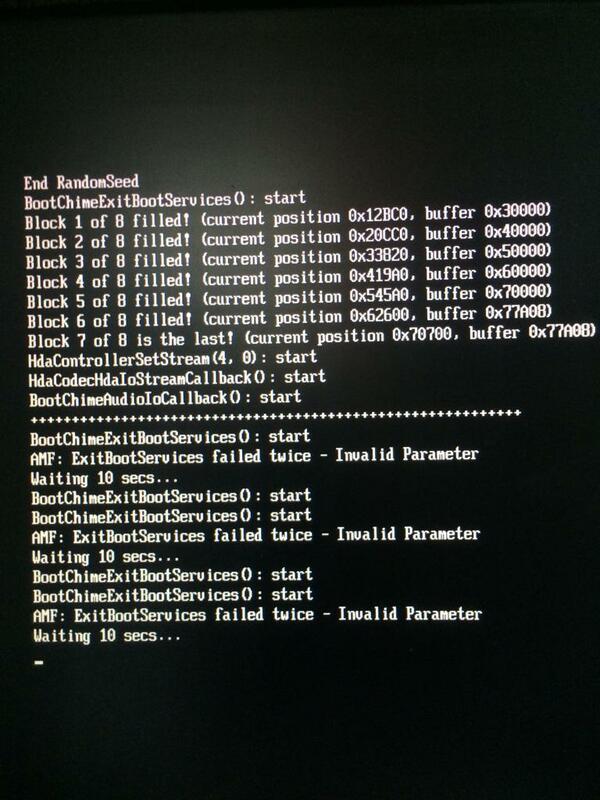 BootChimeDxe will resulting boot freeze + ExitBootServices error msg (I will take a photo for you later sir). Attached when it run with mine. EDIT: Forgot to mentioned, due callback is never called, the sound keep looping until before reaching the desktop. Sounds like something is interrupting the driver during playback. Does sync playback work fine? If the driver doesn't refill the HDA controller's buffer with new data, the controller will continue to loop the same data over and over. I set this to my config.plist.. if PlayAsync=Yes then audio will laggy in GUI CLOVER. Does sync playback work fine? 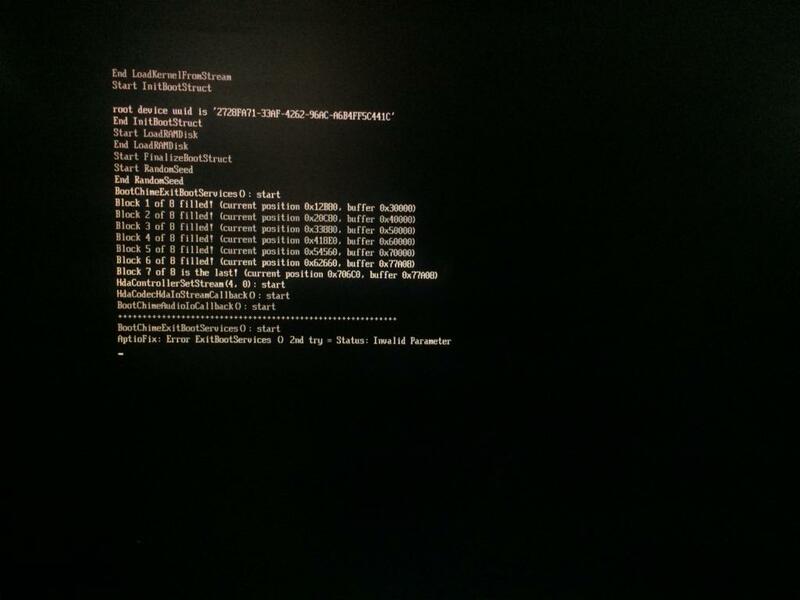 Attached BootChimeDxe ExitBS error with Aptiofix2 and AMF. I finally managed to make it work by overriding ExitBS like BootChimeDxe did. Is there any other way besides those to catch our callback? Also, is it true ControllerInfo->GetVendorId (>>>) is not implemented yet? Accidentally calling those prop for debugging resulting boot hang.